The famous hacker iH8sn0w talk about iCloud recently he sad ,many times, is against the iCloud bypass hacking under ethical Issues. But maybe this time he give a clue saying Mobile Image Mounter (used for mounting DDIs) is a service that is available on Unactivated devices, it can be hacked and iCloud bypass in theory. If someone wanted to go through extensive effort, But it wouldn’t give you service obviously. 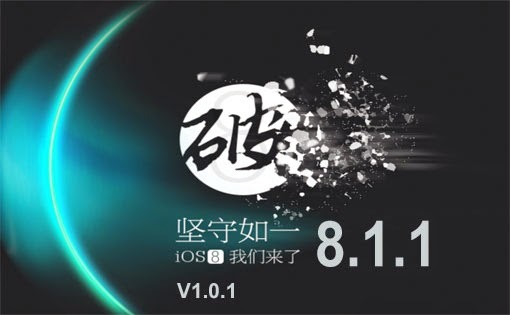 It means probably he knows something and have to do with the new jailbreak 8.1.1. It seems the new jailbreak from @TaiGJBreak found a exploit when mounting DDIs. If this is true might be a good clue for hackers beside who care about service at least we can use devices but who care about doing extensive effort to make it possible? until this moment there is no jailbreak with a bypass, if the new jailbreak use Mobile Image Mounter exploit we can’t bypass with Taig because to jailbreak you should disable find my iphone, noway to do it like that.